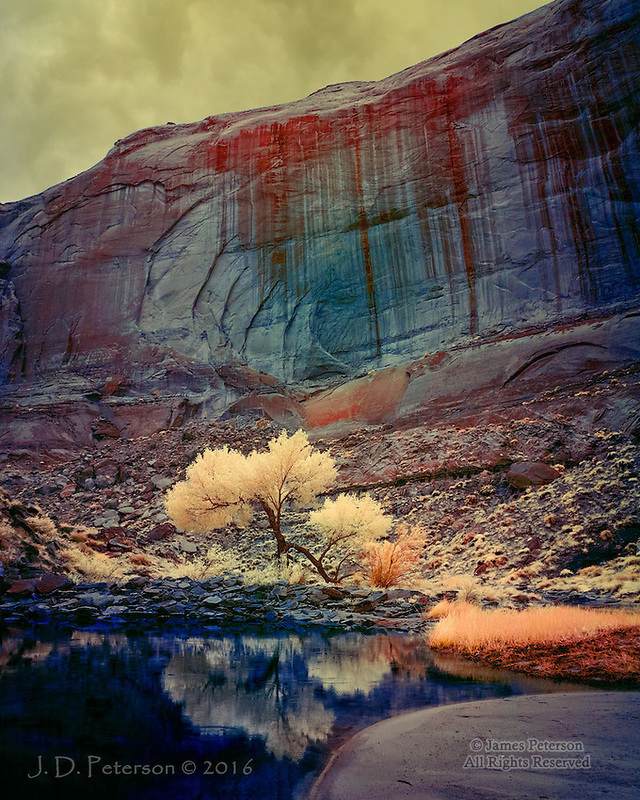 Lone Cottonwood in Pool Canyon, near Lake Powell (Infrared). Limited Edition - Call Jim at 928-554-4340 for current availability. This image received the "Second Place - Merit of Excellence" award in the 2017 International Color Awards competition.